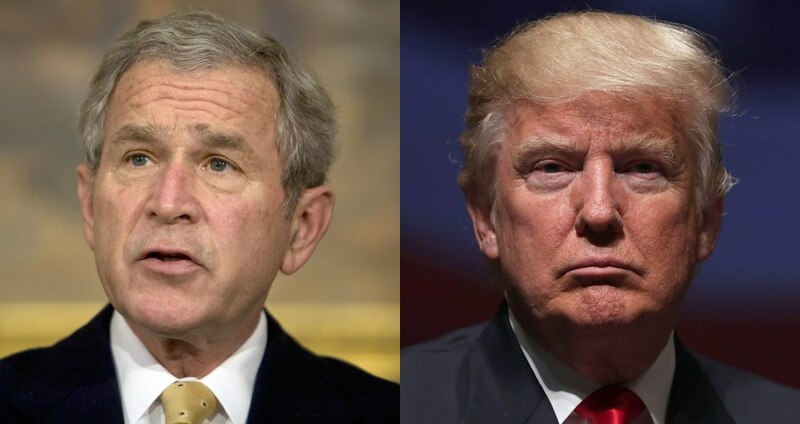 Former president George W. Bush recently had some words for current President Donald Trump, and they were not kind. President Donald Trump has managed to upset one of the two remaining living Republican presidents — and enough to compel him to air his grievances in the media spotlight. Former President George W. Bush spoke about Trump’s attacks on the press and the Russian influence on the current administration, among other topics, during an interview this past Monday on the Today show. Bush also brought up the fact that he attempted to convince authoritarians such as Russian President Vladimir Putin to uphold the values that would allow a free press throughout his presidency — and that Trump now stands to undo that precedent by attacking the press. Bush concluded by saying, “I am for an immigration policy that’s welcoming and upholds the law,” after adding that the terror threat is not a religious war but an ideological one, according to The Washington Post. Next, read the recent comments from Peru’s president to Trump explaining that we need bridges, not walls, before finding out how the Trump administration is reversing government stances on transgender rights.